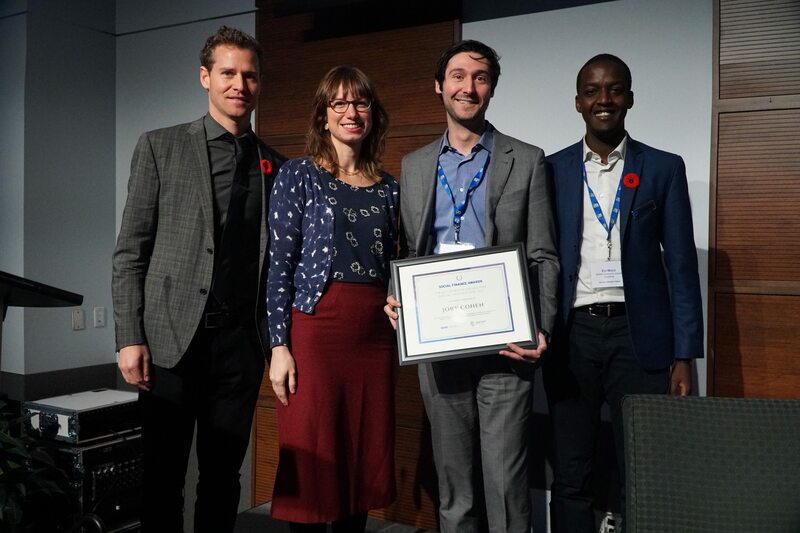 MaRS Centre for Impact Investing is pleased to announce the recipients of this year’s Social Finance Awards, which were presented at Social Finance Forum 2017. 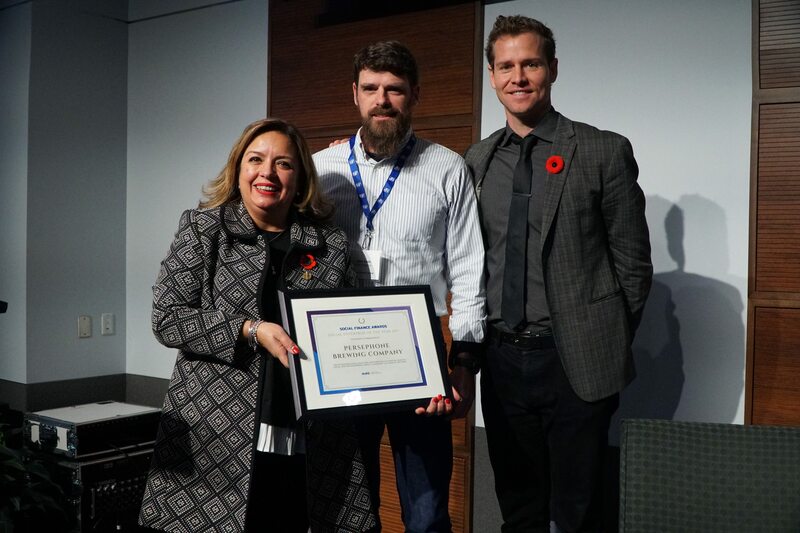 The awards are presented to leaders who are playing a pivotal role in catalyzing the Canadian social finance marketplace. 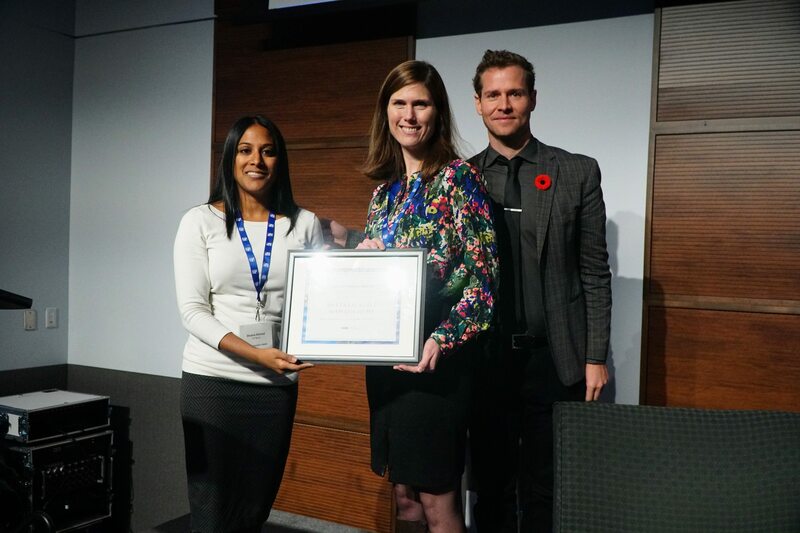 This year we presented four types of awards to showcase and celebrate the efforts that individuals and organization are making to mobilize private capital for public good. Deetken Asset Management has been committed to impact investing for over 10 years. The organization began by investing its own capital in companies serving low-income clients in innovative ways, such as offering financial services to the unbanked, providing healthcare services in remote areas, or adding low-cost renewable energy capacity. Deetken currently manages investments in 12 companies in Canada, the United States, Peru, El Salvador, Ecuador, Argentina and Uruguay. Over the past 10 years, the organization has consistently delivered annual returns of 10 per cent to investors. Through its Deetken Impact Fund, the organization has had incredible impact in the communities where it is present, and it has done so using the UN Sustainable Development Goals as guiding posts. Deetken Impact Fund is the first registered, internationally focused, impact investment fund available to individual investors in Canada. It has been deliberately structured to permit Canadian accredited investors to invest through tax-advantaged savings accounts, including tax-free savings accounts and registered retirement savings plans. Persephone Brewing Company is located in picturesque town of Gibsons, B.C. Persephone grows hops, food, beer and community at what is lovingly known by the locals as The Beer Farm. The organization has built and operates a farm that is tackling challenging land economics, social inclusion and environmental sustainability by leveraging the booming craft beer industry in Canada. Persephone is committed to the inclusion of people with disabilities and regenerative agricultural practices that build healthy food systems and healthy community, not to mention profits. Persephone was developed to apply a systems-based approach to building healthy, resilient community and local economy using a social enterprise business model. Just as viable farms thrive on rich soils, the company is reliant on the well-being of its people, its positive, progressive organizational culture and its sustainable land use. As a twice-certified B-Corp, Persephone has one of the highest scores of any breweries worldwide and won The Best for the World by B Labs for 2017. In the past year, its revenues have grown by 40 per cent, and it has won multiple international beer awards. This social enterprise is a true example of how a community-run organization can scale while making an impact on multiple fronts. Jory Cohen is the Director of Social Finance and Investment at Inspirit Foundation. In this role he leads Inspirit’s 100 per cent impact portfolio, which is a commitment to invest the foundation’s entire asset base for positive impact. Jory was hired specifically to implement Inspirit’s impact investing agenda and has exceeded expectations. To date, inspirit has allocated $16.5 million in impact investments. He has also guided Inspirit to a leadership role in the impact investing community. Jory has played a significant role in the “field building” strategies and goals of the organization. He is a sought-after speaker at business schools, conferences and events. Jory always finds time to offer advice and encouragement to individuals, social enterprises seeking funding and other investors. For Jory, the ethos behind social finance extends beyond the office and into his whole life, a story he shares in his blog on Inspirit’s website. Jory brought his previous experience as a social entrepreneur and impact investor to his role at Inspirit. Previously, he partnered with a Tanzanian social entrepreneur to launch a social enterprise in that country. He also led the Youth Social Innovation Capital Fund, an impact investing fund in Toronto. Jory’s expertise and leadership has established Inspirit as a leading impact investor in Canada.